Coffret d´Or is usually one of the first brands to release the spring collection, usually as early as beginning of December. The new items feature a completely new design, sticking to either white or black packaging. 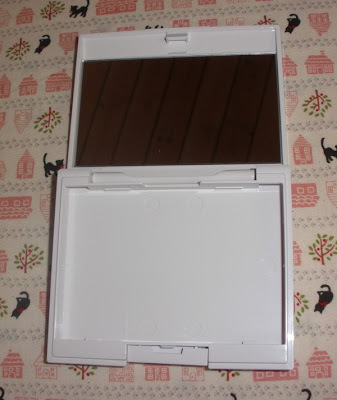 The eyeshadow quads and blush palettes come in refills and 2 different cases to fit the items inside. 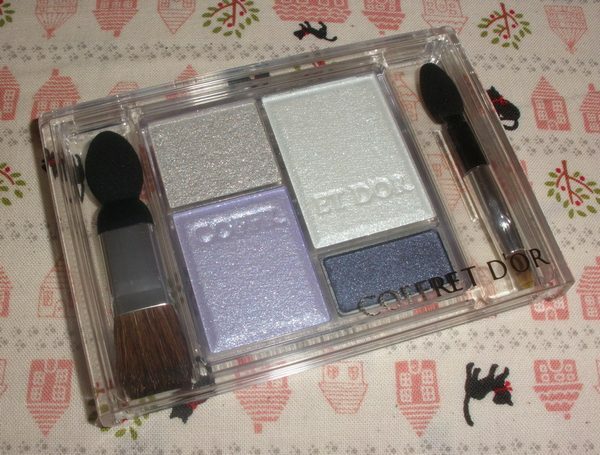 The new eyeshadow palettes come in 5 color variations, all in pastel shades. You have to buy the refills and cases individually so the overall price is higher than for the regular eyeshadow palettes. 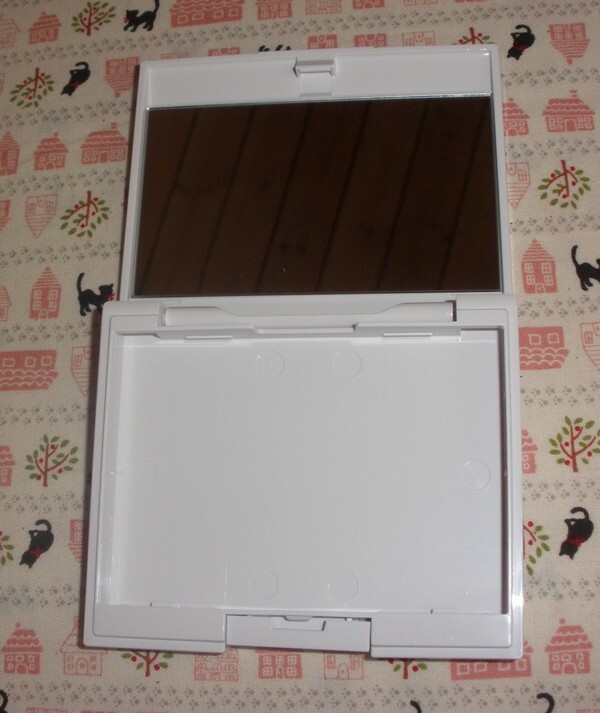 The clear plastic case the refills come in is a very sturdy slim compact though so if you are not keen on getting the white or black case you will pay less for the quad. 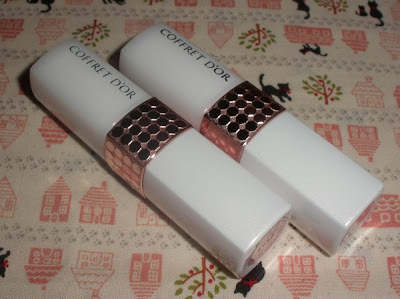 I picked the white/pink case, in fact the white plastic also has a pink opalescent shine which is quite pretty. This case fits both the shadow quads and the blush palettes. The texture is very silky and finely milled with a delicate shimmer. 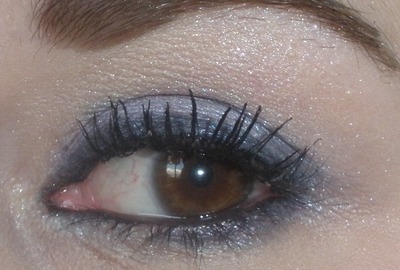 The shadows are sheer but still show up well on me, especially the 2 deeper colors. One shade is just a glitter shade which is a bit of a waste as a 2nd medium color would have been great. 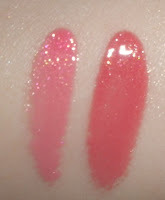 Lasting power is great in my opinion, the colors stay pretty much on all day on me. 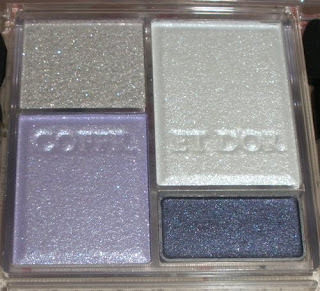 05 is a purple palette including a deep blue-toned purple, medium lavender, a mint-tinged off-white and a light silver beige glitter shade. 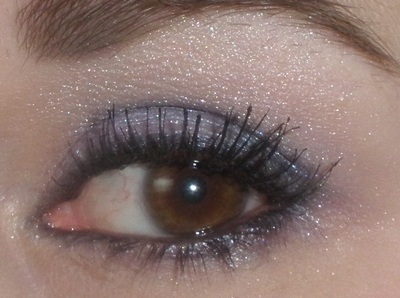 I like to pat on the glitter on the middle of my lids and just below my brows. The colors look very pretty worn together. The new blushes are available in 3 color patterns including a palette of highlighter and 2 shading powders. The blushes have a very pretty pattern consisting of different colors blending together into 1 shade. 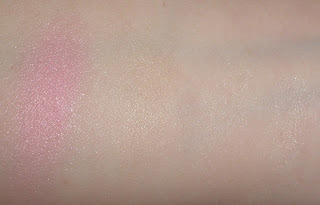 The blush has a delicate shimmer which is quite pretty but unfortunately it´s so very sheer, even I have to layer it like 5 times to get a bit of a pink flush so if you are tan probably you won´t be able to see any color at all. 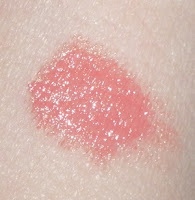 The highlighter/shading powder trio is even worse, it doesn´t show up at all, all you get is a bit of a faint shimmer. 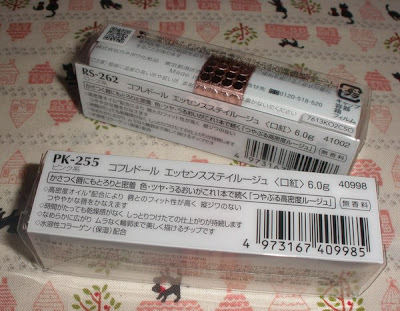 I actually swatched it at the right of the pic but even with like 10 layers you can´t detect the color really. 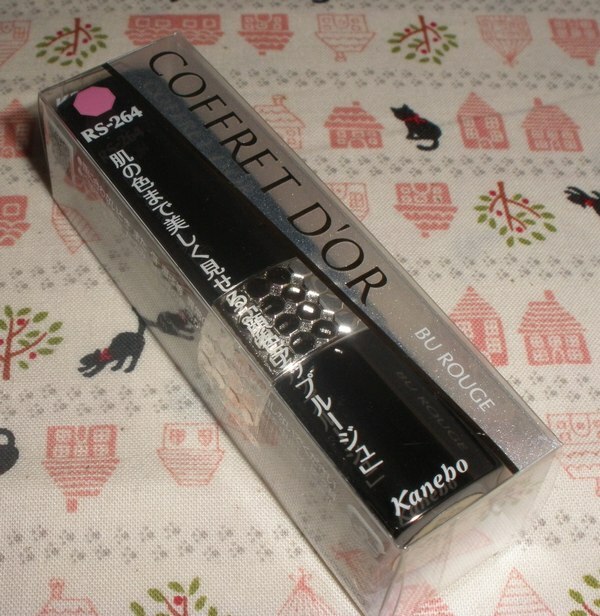 I got 02 Pure Pink, a cool pink shade. 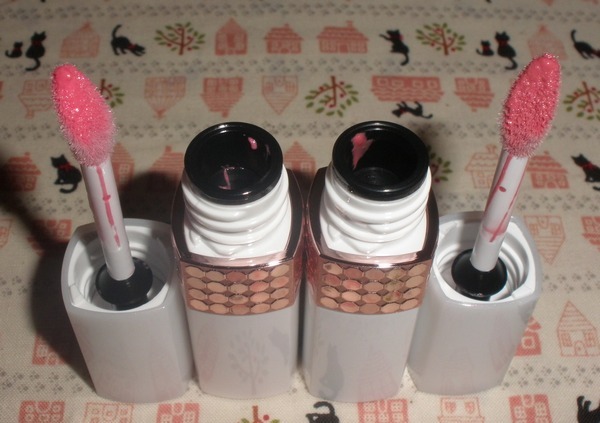 The new lipglosses/liquid lipsticks come in white tubes with pink. 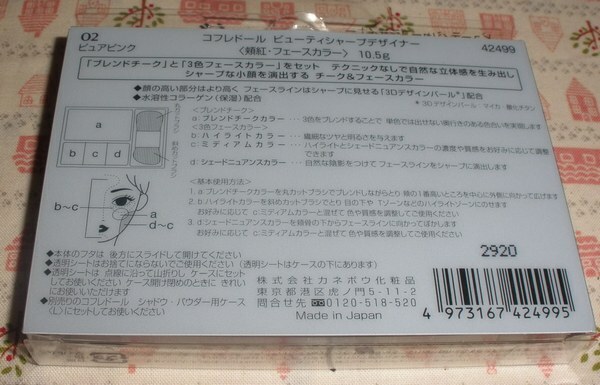 The white plastic part looks a bit cheap to be honest but the product is really nice. 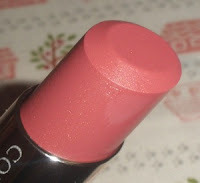 The formula is slick and quite pigmented and stays on decently. It´s not a sticky or very thick gloss but still gives a nice glossy finish. 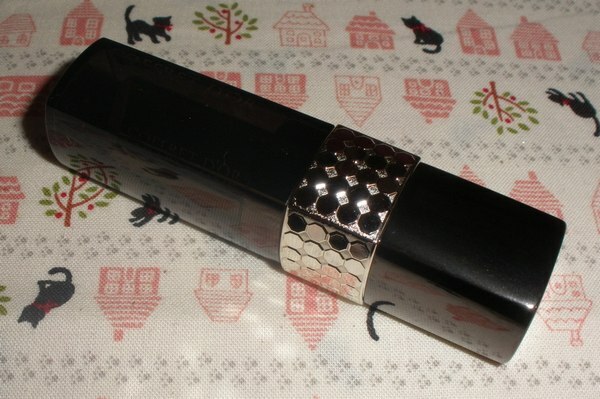 This lipstick is unscented and unflavored. 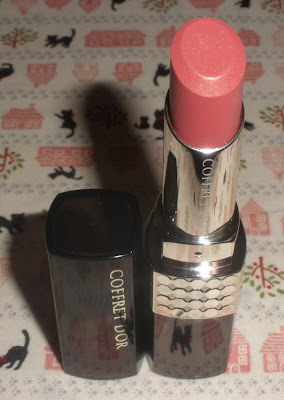 The formula isn´t so creamy, it´s a satin-finish lipstick which looks a little dull and feels a little bit dry to me but it lasts considerably long. 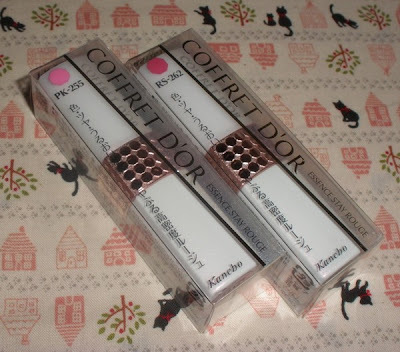 Overall not my favorite lipstick range from Coffret d´Or, I prefer a creamier and maybe also more shimmery texture. RS-264 is a very neutral rosy beige which would go with about any eye makeup. 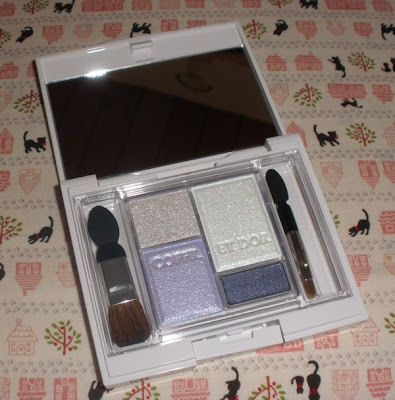 Overall the spring collection is quite nice but you could probably skip the blushes as they are a bit sheer and relatively pricey. The Eyes Appeal Shadow and Essence Stay Rouge deserve to be checked out though! Thanks for the review. 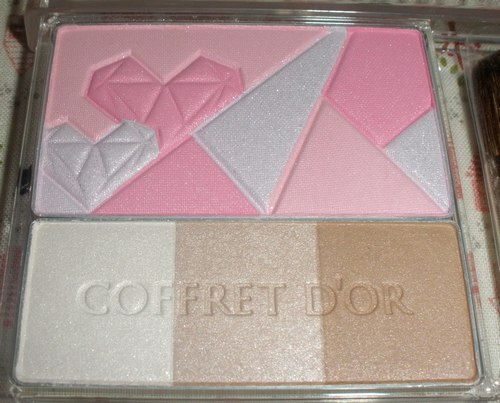 I was thinking about the blush becaue it's so pretty. I was thinking of the Orange one. However, maybe I'll skip that now. I was hoping the contouring part (brown parts) would show up more. I really like the pigmentation of the glosses! They look really nice on you! 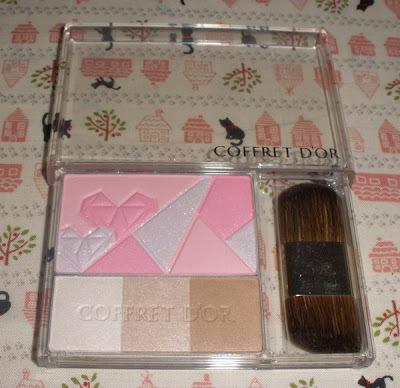 Great review, it's the one I had been waiting for. 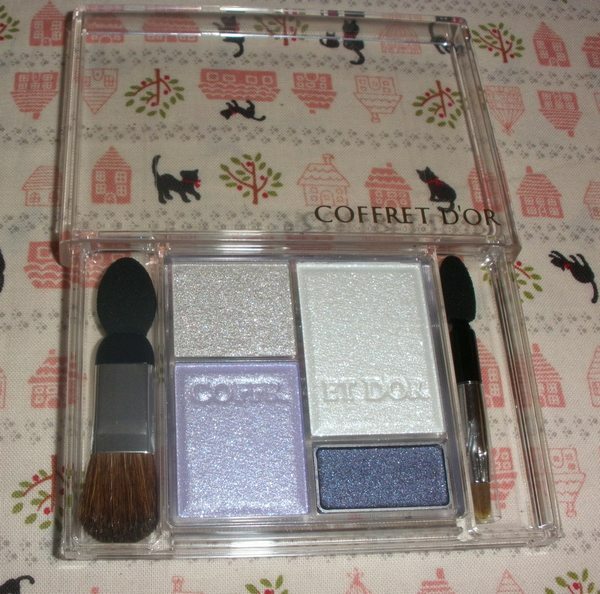 Now I know what to pick up from this new collection. 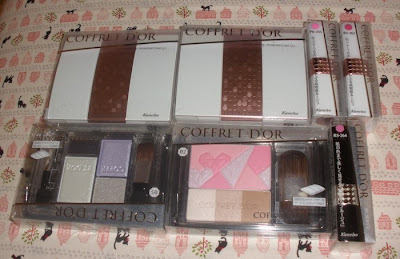 Awesome products, I need to try this brand some time in the future!! 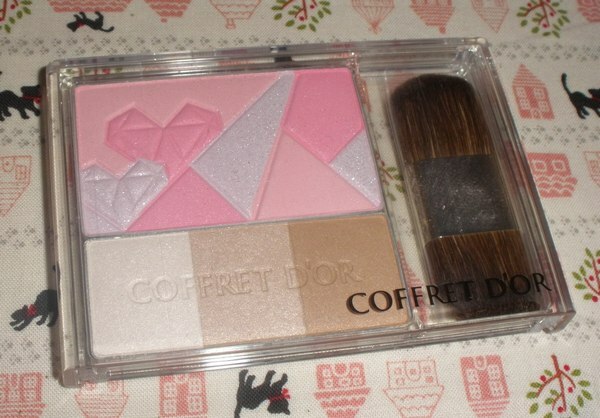 Shame about the blush, highlighter, it looked so pretty in the pic. 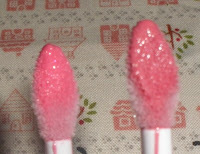 I like the glosses! They look lovely on you!! Do you think they can suit a brunette? 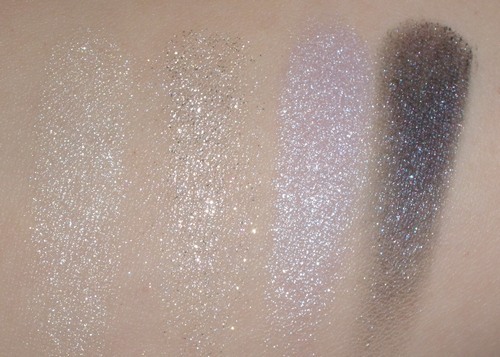 The pigmentation of the shadow palette is amazing too! Thanks for this post! 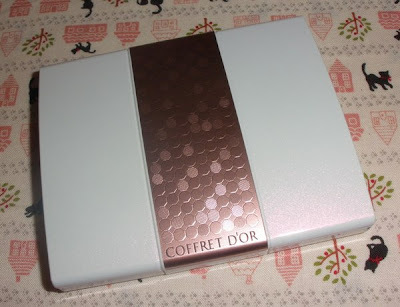 I had a question about the Coffret D'Or blush - Is the whole thing a blush, including the three sections at the bottom, under the design? 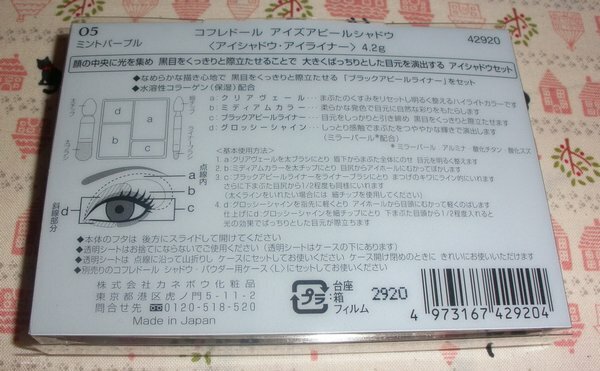 I couldn't figure out if they were also blushes, or eyeshadows.